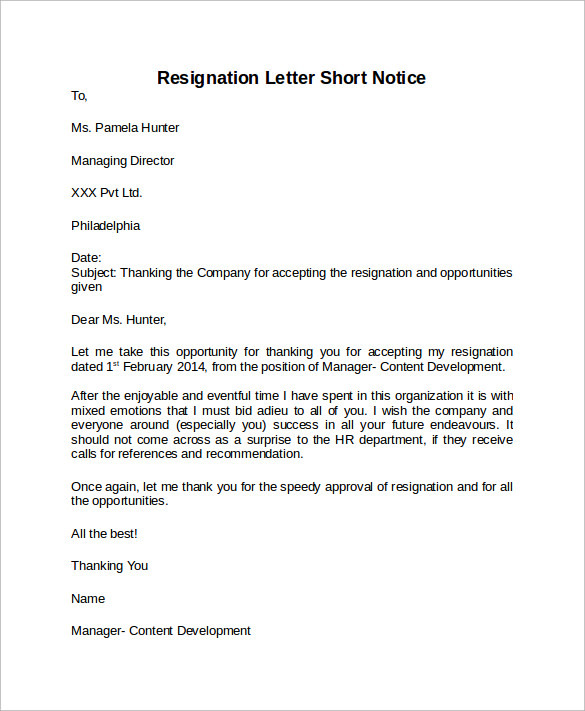 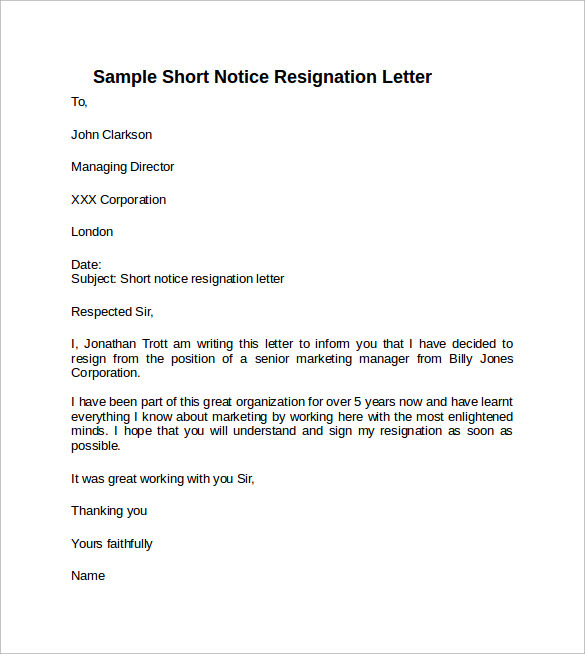 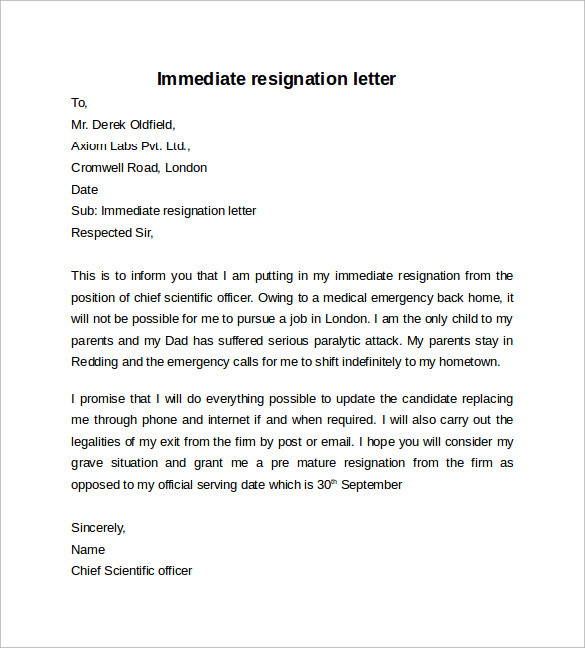 In Resignation Letter short notice period you must write a valid reason behind such short notice. 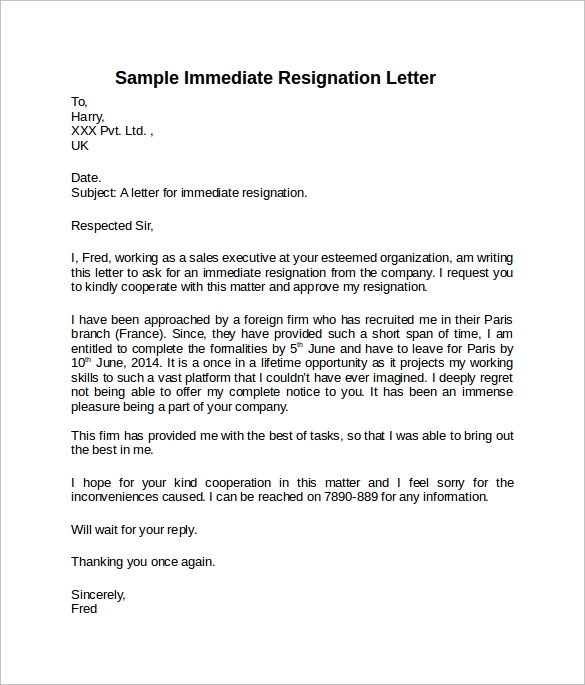 In this formal letter, designation of the responsible authority with office address, date, your residential address, proper salutation, body of the letter, closing, your signature with full name neatly types and employee code should come in proper order as mentioned. 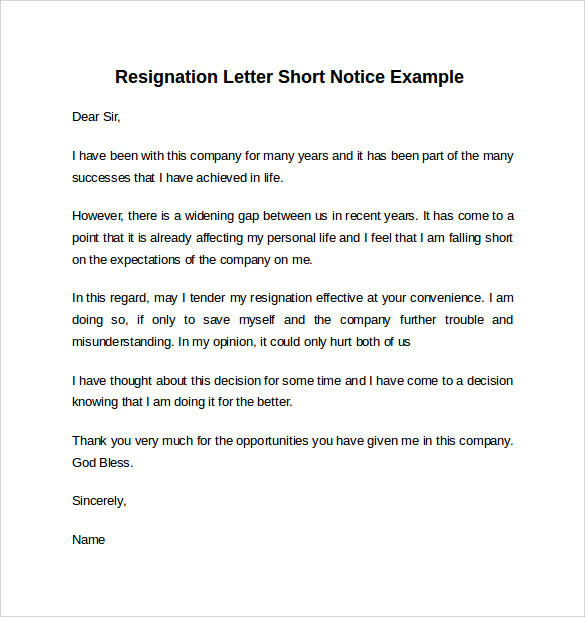 The body of the letter should be segregated in three visible paragraphs. 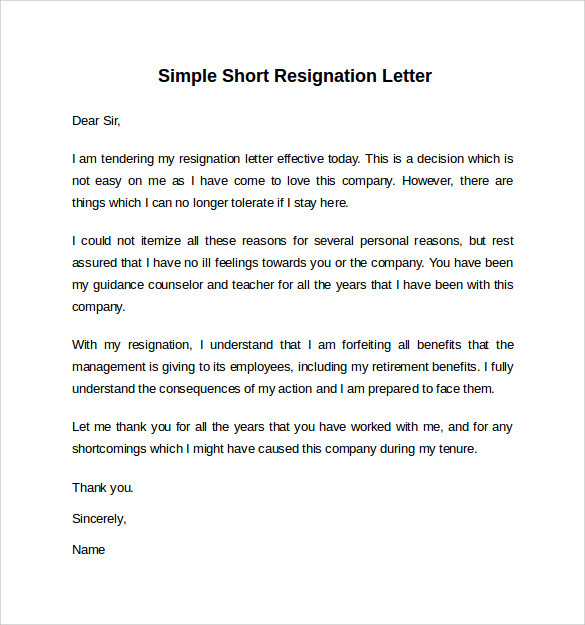 The first one need to be a formal introduction, the middle paragraph should contain the explanation and the third one should be a conclusion also mentioning a line your experience with the organization. 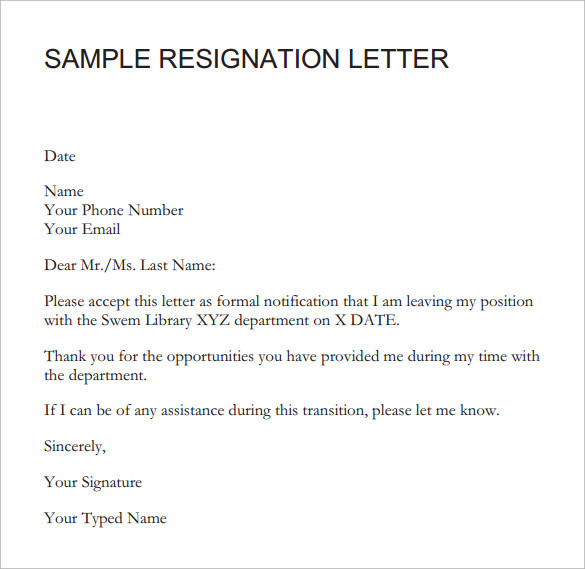 They are also available in other formats like word, psd and pdf etc.